Bob took a week of vacation towards the end of June. We had so much fun just staying at home and having him here with us everyday. 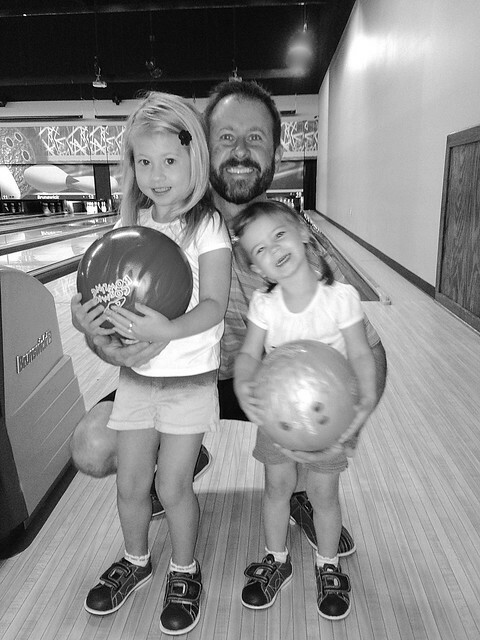 Father's Day was the beginning of his week off so it was so fun to begin our stay-cation by celebrating him. 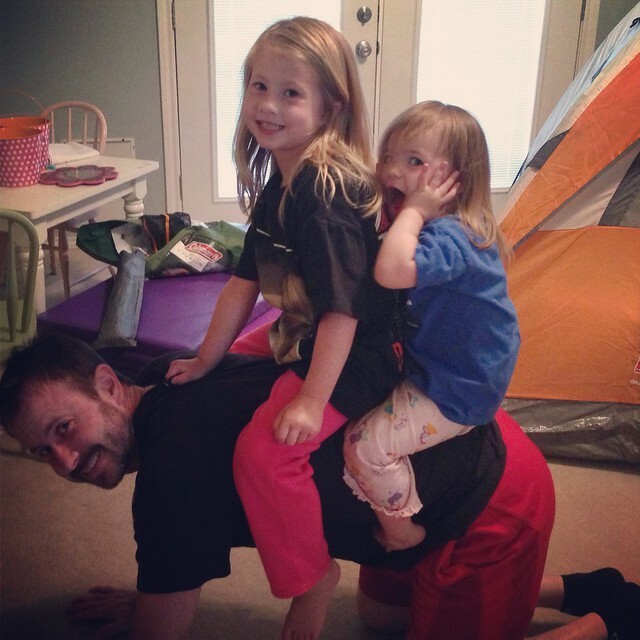 I printed this cute All About Dad book and had the girls fill in the blanks. Bob loves a good ole' Limeade. There is a place in Abilene called Mary's Paleteria that has the best Limeade ever. 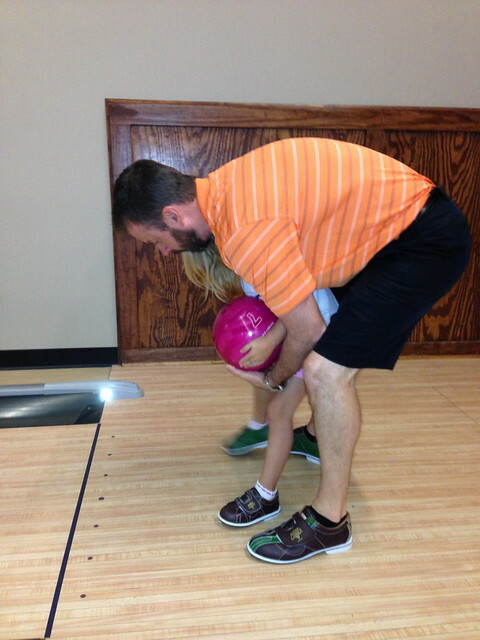 Ella and I tried to recreate it for Bob on Father's Day. It was good but nothing like Mary's. 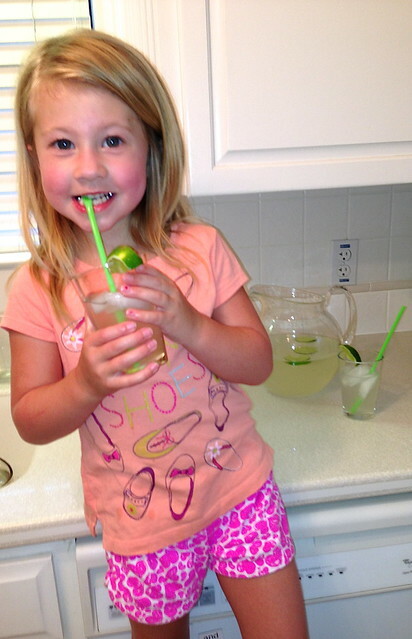 Our recipe was juice from 6 limes, 1 cup of sugar and 2 quarts of water. 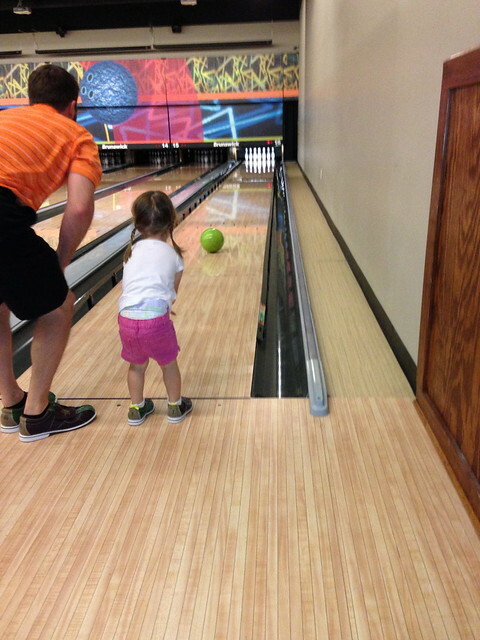 We had a family bowling day and it was so much fun! 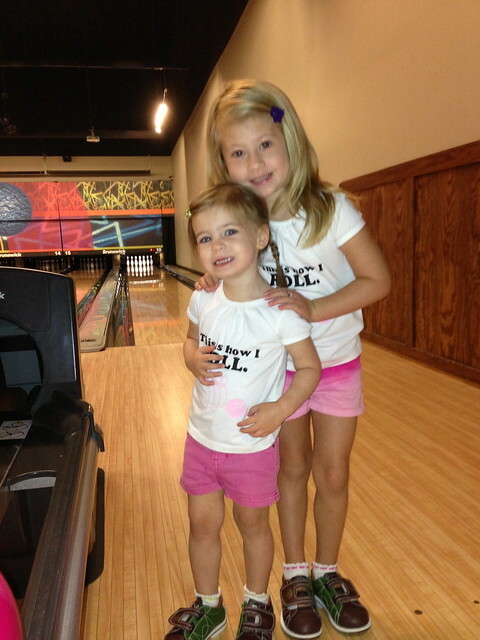 Of course I made the girls bowling shirts but the best part is that Ella asked for them! She had a vision and all. 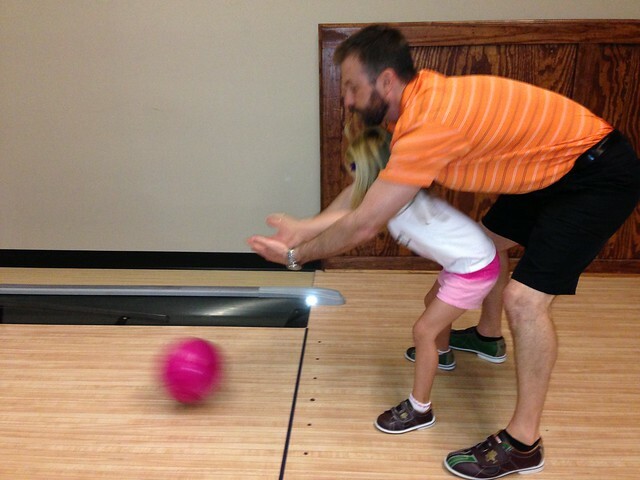 Pink bowling ball. 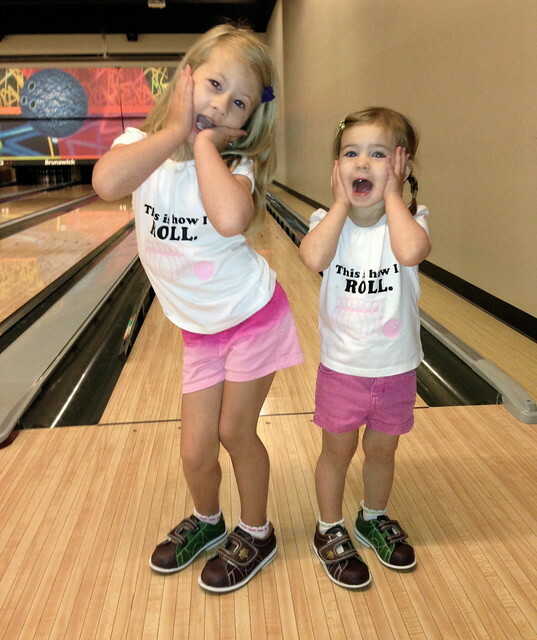 The biggest shock to us all is that our fashion girl Ella said the actual words, "I like these bowling shoes, they are cute!" 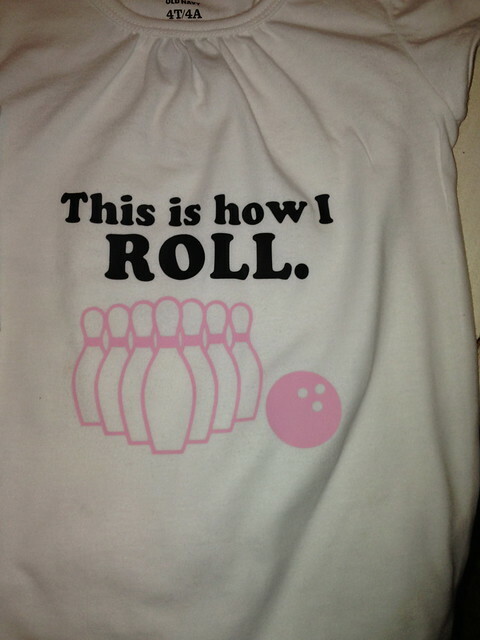 I don't want to brag and say who won but it was me!!!! Very few times in life does my lucky day and Bob's off day fall on the same timeline. 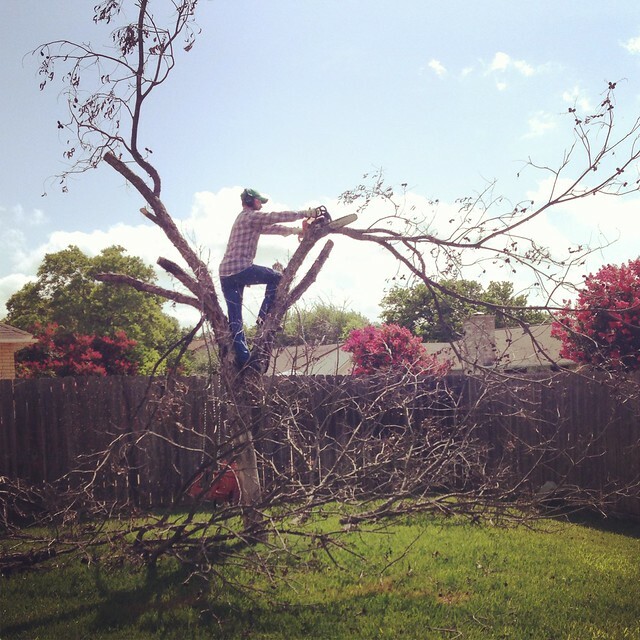 Cutting down the tree in our backyard has been on Bob's to-do list for a while now. It has been dead for months. Two people have even knocked on our door telling us how they are a tree trimming business and would love to cut down our tree. It was an eyesore from the street. Bob knew he could do it himself, he just needed a day off to do it in. 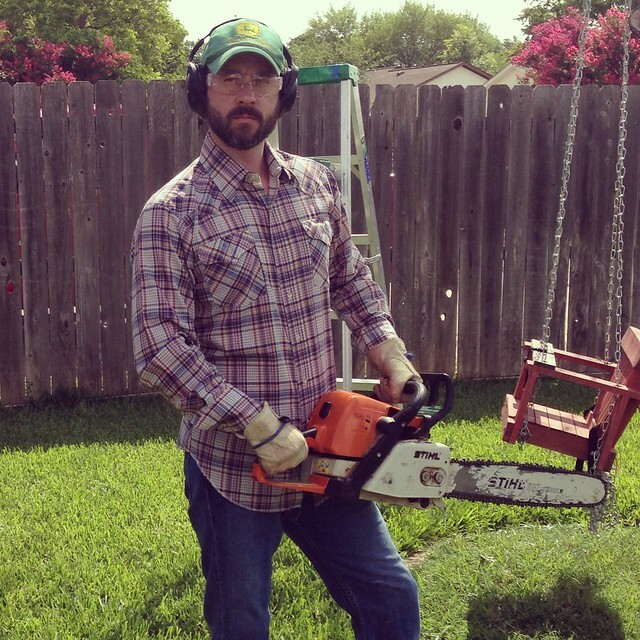 So he dressed the part and the lumberjack in him came out. 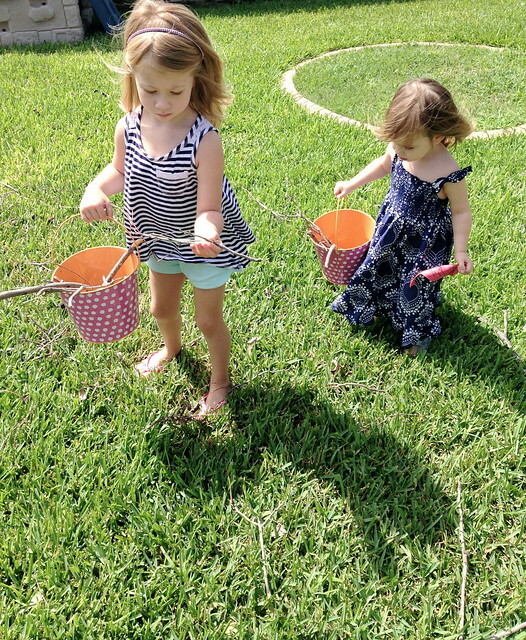 The girls grabbed their easter baskets and went on a stick hunt. 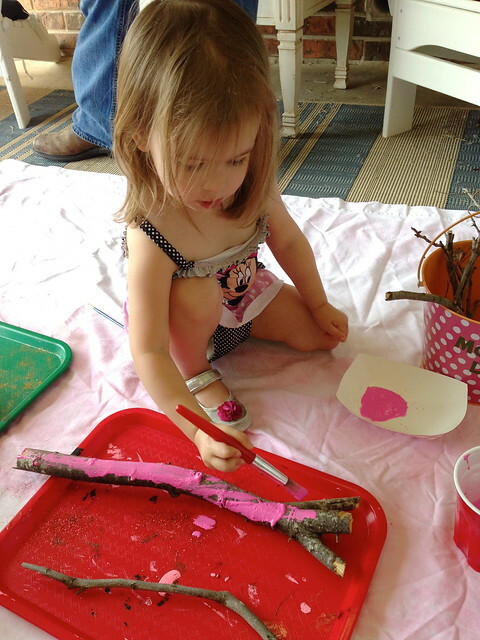 Once they filled up their buckets I thought it would be fun to paint some sticks. 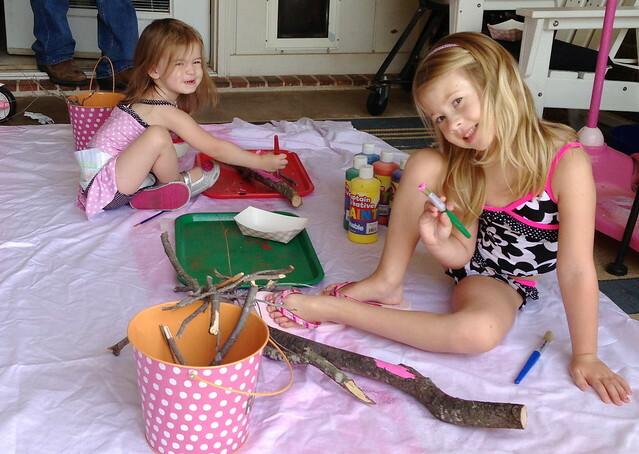 The girls had so much fun doing this! 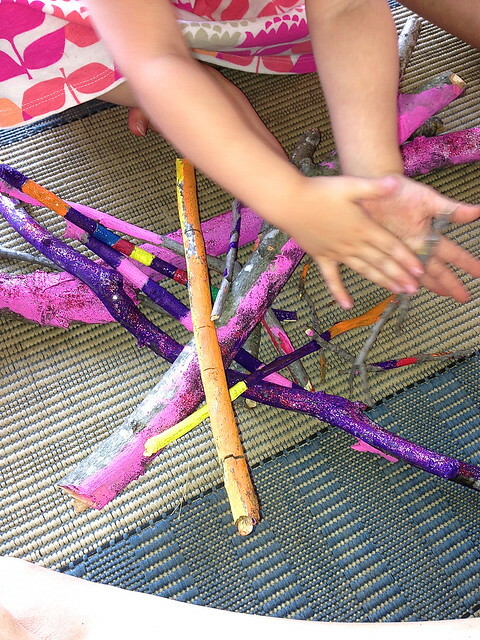 We aren't sure what we will do with our memory sticks but we have had some fun pretend camp fires so far. 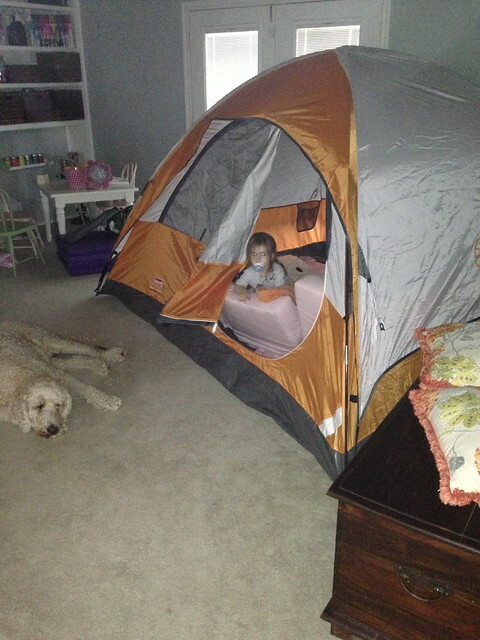 A stay-cation wouldn't be complete without a indoor campout. 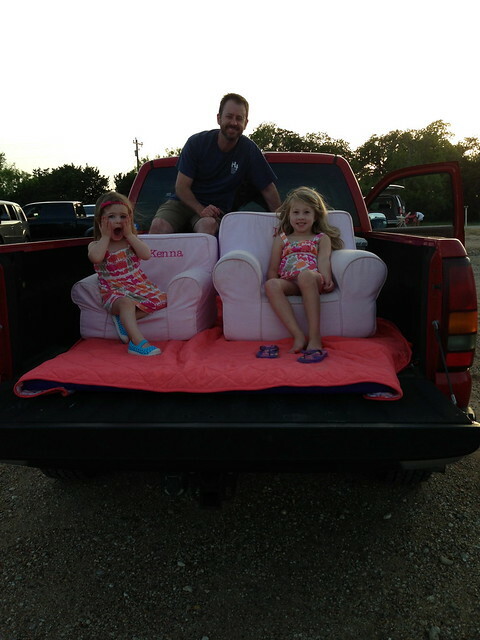 One of my favorite nights was the Drive-In movie. It was fantastic! 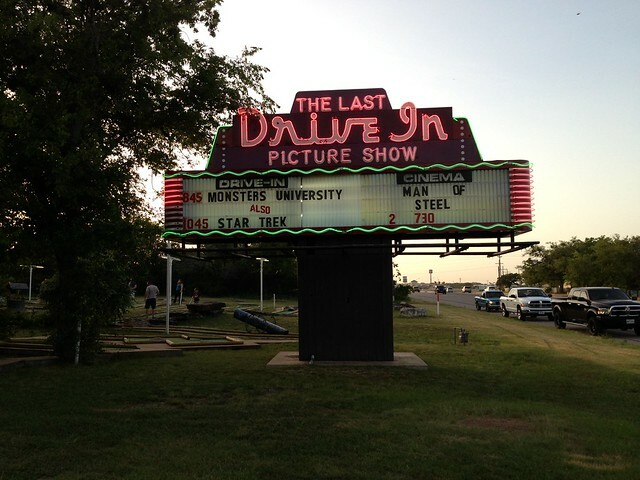 It is in Gatesville and called Last Drive In Picture Show. We brought the girl's chairs, gymnastic mat, lots of blankets, a picnic basket full of candy and maybe a little wine for mom. 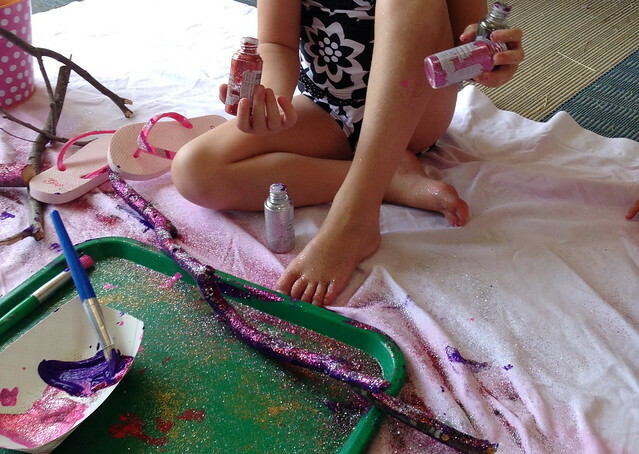 Ella loves any As Seen On TV product and the Flashlight Friends has been her latest fav. 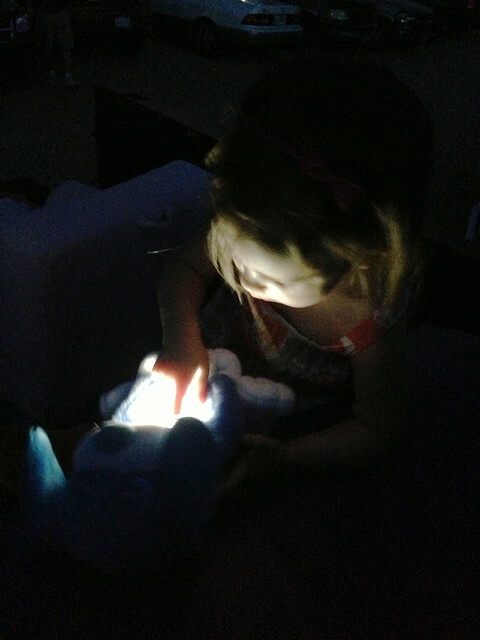 They are little stuffed animals that have a built-in flashlight in the tummy. 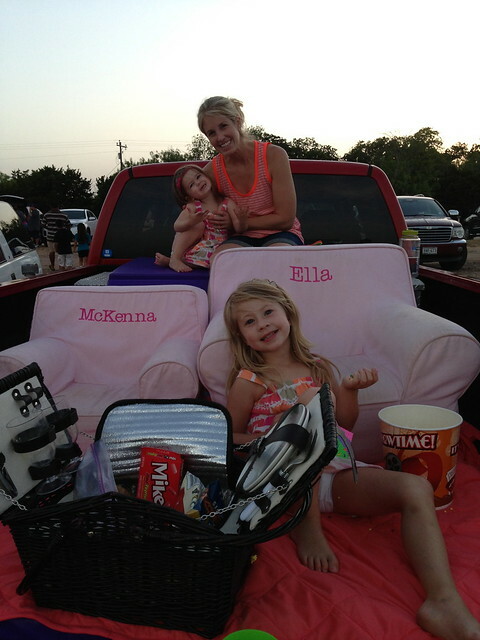 I surprised the girls with them at the drive in. 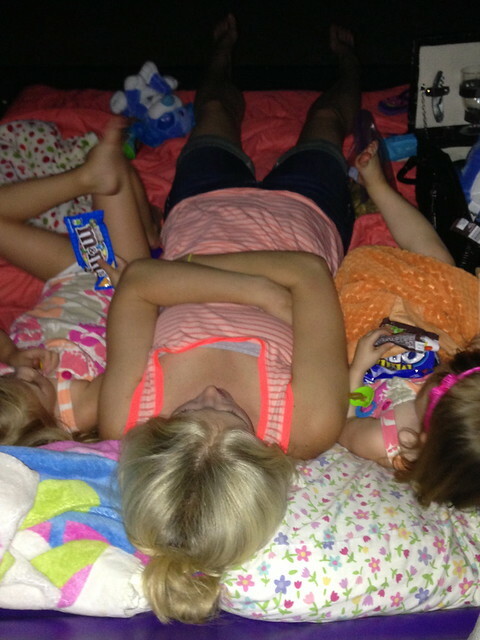 It was perfect for finding candy in the picnic basket. We loved every minute of having Bob home days in a row and can't wait for it to happen again soon!